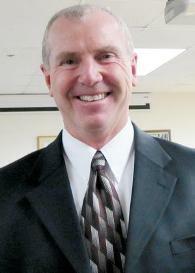 Thank you for taking the time to visit our Yarmouth Police Department web site. It is my wish that you will visit our web site often as we are committed to providing frequent updates on information within our ever-changing policing environment. 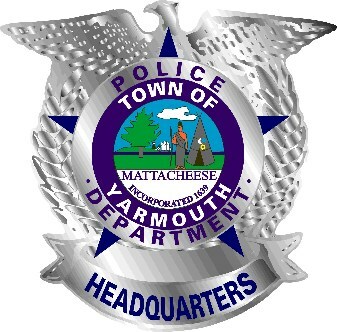 The Yarmouth Police Department proudly employs a dedicated group of professional men and women who work daily in a concerted effort to deliver the best possible policing services to our residents, business community, and our visitors. 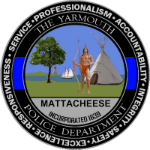 Yarmouth Police Department firmly believes that transparency of information and knowledge is integral to protect and serve all citizens. We take our commitment to inform our community seriously and provide frequent, daily press and public information. Please see our recent press releases for up to date news & information, check out tags for important posts & articles and visit our Event Calendar page for upcoming community opportunities and events. We strongly believe in utilizing social media sites for communication and social policing alongside our dedicated Yarmouth community. Find us on facebook and Twitter to share news and join us in the social policing movement designed to help make Yarmouth the safest place in the region to live, work and raise a family. We are open to your suggestions on how we can work together to address crime issues within our boundaries. We have a very active outreach program that involves our Yarmouth Police Officers speaking before public, civic, or community groups, on a variety of police related topics. We would enjoy the opportunity to meet with your group regarding a topic of interest relating to a crime or a community safety topic. We also invite you to contact us if you should have any questions or require more information regarding the operations or the policies and procedures of the Yarmouth Police Department. In addition, we invite you to consider attending a future session of the Yarmouth Police Department Citizen Police Academy. This ten-week program will provide you with a tremendous opportunity to view the workings of your police department. If we can be of assistance to you, please do not hesitate to drop into our headquarters, e-mail us through our website, or give us a call at (508) 775-0445.